We are very excited to confirm the fantastic line-up of presenters for our 2018-19 Language and Communication Research Seminars at our Hendon Campus. Hope to see you all there! Dr Leena Robertson (Middlesex): Excavating naming practices in language research methodologies: The case of Romani languages in Europe. Friday, 19th October 2018, 14.30 – 15.30, Room V105 (Vine building). Dr Andrew Pepper (Queen’s University Belfast): Crime Fiction in the Archives: Hunting for Hammett. Friday, 2nd November 2018, 14.30 – 15.30, Room V105 (Vine building). Dr Carina Hart (Middlesex): Gothicising the Fairy Tale: Monstrous Cinderellas in Angela Carter and Ali Shaw. Tuesday 6th November 2018, 16.00 – 17.00, Room PAG02 (Portcabin). Ilham Taghiyev (Khazar University, Azerbaijan and Middlesex): “Presumption Of Innocence”: The Case Of Linguistic Humour. 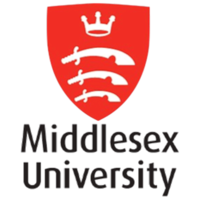 & Shino Shirama (Middlesex): English Education in Japan, Friday, 23rd November 2018, 14.30 – 16.00, Room V105 (Vine building). Dr Johan Siebers (Middlesex), The Rhetoric of Death and Dying. Friday, 7th December 2018, 14.30 – 15.30, Room V105 (Vine building). Professor Chris Mabey (Middlesex), Letters from Myanmar. Friday, 11th January 2019, 15.30 – 16.30, Room WG48 (Williams building). Dr Anne Robinson (Middlesex): Wakeful: listening to the past through archives and experimentation. Friday, 25th January 2019, 14.30 – 15.30, Room V105 (Vine building). Professor Bronwen Thomas (Bournemouth University): Reading on Screen: challenging myths and misperceptions of reading in the digital age. Friday, 8th February 2019, 14.30 – 15.30, Room V105 (Vine building). Dr Petros Karatsareas (Westminster): Through two lenses: Re-enregistering Cypriot Greek as ‘slang’ in London’s Greek Cypriot diaspora. Friday, 8th March 2019, 14.30 – 15.30, Room V105 (Vine building). James Kenworth (Middlesex): A Splotch of Red: Keir Hardie in West Ham. Friday, 15th March 2019, 14.30 – 15.30, Room V105 (Vine building). Professor María Martínez Lirola (Alicante): An analysis of the image of women in cosmetic surgery leaflets: visual grammar as a tool to discover stereotypes. Tuesday, 19th March 2019, 16.00-18.00, Room PRTCB6B (Portacabin). Professor María Martínez Lirola (Alicante): Approaching the representation of Sub-Saharan immigrants in a sample from the Spanish press: deconstructing stereotypes. Wednesday, 20th March 2019, 14.30 -16.30, Room V105 (Vine building). Professor María Martínez Lirola (Alicante): How can we introduce culture and critical thinking in the classroom? Exploring the use of multimodal texts in the classroom. Thursday, 21st March 2019, 17.00-19.00, Room C110 (College building).